Your search should be reproducible and documentation of your literature search strategy – including your selection and exclusion criteria – should be part of your thesis. Many databases provide a save search feature if you create an individual user account. The easiest way to see if your search is reproducible is to ask a fellow student to perform your search and see if they receive the same results as you did. Click and see a video guide explaining this search. You may ask yourself why are some search terms repeated as both free text searches and as Mesh terms? 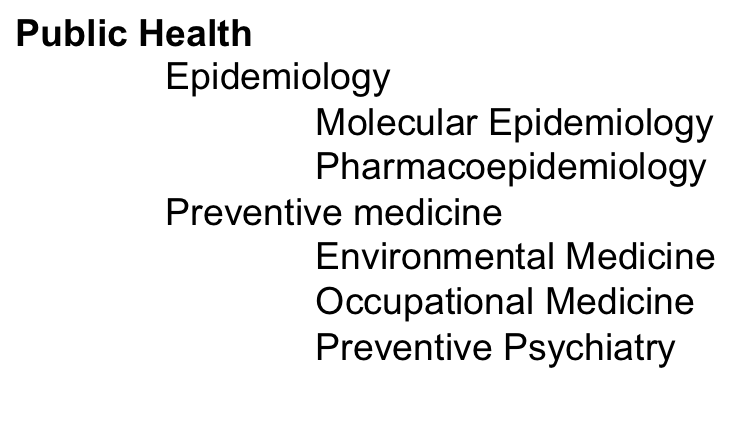 Won’t searching for “Public Health” in quotes also find results with the “Public Health” as a Mesh and likewise with Africa*? 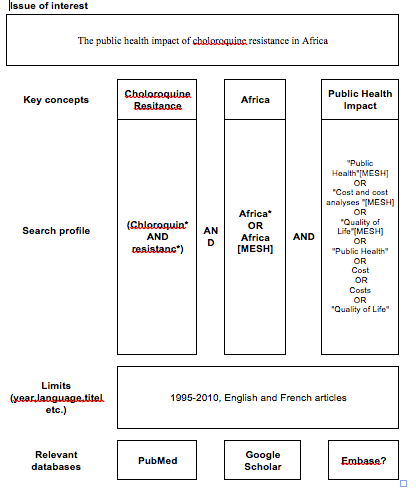 When you use the search term Africa* – automatic term mapping is turned off, and although PubMed will find all of the articles that have been assigned the Mesh term “Africa” it will not include all of the countries in Africa without you having to search for each of them individually, which is why you should explicitly search for “Africa”[Mesh]. Write down your search strategy before opening a database or search engine. Get an opinion on your search strategy from your library’s information specialist, librarian or your supervisor.